We haven't seen much from the Suicide Squad set in Toronto lately, since production has been taking place mostly indoors. Yesterday, star Jared Leto posted a cryptic photo and video on his Twitter and Instagram pages, which appear to be referencing the beloved graphic novel Batman: The Killing Joke. 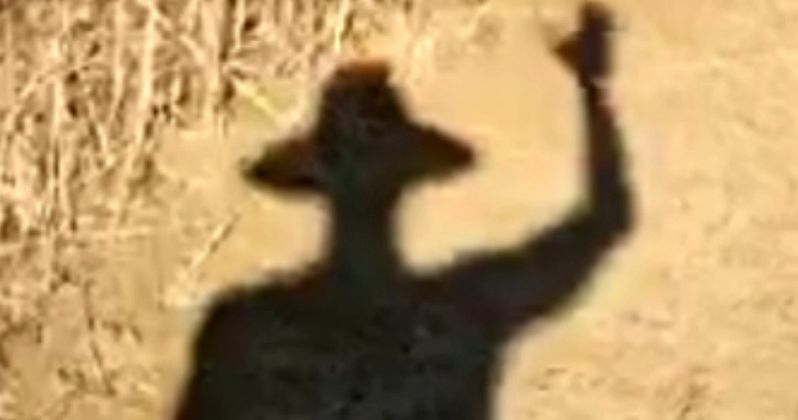 While we can only see the actor's shadow in this photo and video, the hat he's wearing clearly resembles The Joker's hat from the beloved graphic novel by Alan Moore and Brian Bolland. It isn't exactly clear what Jared Leto is trying to accomplish with this photo and video, but this isn't the first time we've seen a reference to the graphic novel. Director David Ayer released a photo back in April, which featured Jared Leto recreating the graphic novel cover artwork, where The Joker is seen pointing a camera at the viewer. Ironically, Warner Bros. announced last month that Batman: The Killing Joke will be their next DC Universe Animated Movie, with Mark Hamill reportedly set to voice The Joker. It's possible that the actor could be teasing a potential flashback scene in either Suicide Squad or Batman v Superman: Dawn of Justice. Last month, an unconfirmed report revealed that Jena Malone is playing Barbara Gordon, a.k.a. Batgirl, who was the daughter of James Gordon. In the Batman: The Killing Joke graphic novel, The Joker ends up killing Barbara Gordon, where he is wearing the same type of hat as in this new photo. Jena Malone's casting has yet to be confirmed, and it isn't known if she will have an appearance in Suicide Squad, or if Jared Leto's The Joker will pop up in Batman v Superman: Dawn of Justice. The recent Batman v Superman: Dawn of Justice trailer teased the possible presence of The Joker, in a scene where Bruce Wayne (Ben Affleck) is seen gazing at the superhero suit worn by his former sidekick Robin. The suit featured the hand-painted remarks of The Joker on the chest of this suit, stating "Ha ha ha joke's on you Batman." We know that Batman will pop up in Suicide Squad, chasing after The Joker and Harley Quinn (Margot Robbie), but we still don't have confirmation of The Joker appearing in Batman v Superman: Dawn of Justice. While we wait for more details about why Jared Leto keeps teasing Batman: The Killing Joke, check out the latest photo and video. Do you think the actor is teasing a major plot development in Suicide Squad and/or Batman v Superman: Dawn of Justice? Or is he just having some fun with the fans?